This is for Colossith and Unknown. Enjoy! Unknown padded into the surrounding area, her eyes and ears on full alert as she walked. She kept walking through the silence, the grass tickling her paws as she went. She kept pushing her way through the forest she was walking through, she could smell water which made her pretty excited. She ended up finding a path that was beaten down, she casually followed it until she found where she was going. The tundra wolf made his way through the forest, curiously looking around. It was a beautiful place to be and he couldn`t wish for anything better. 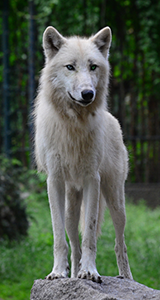 As he looked around himself, he spotted a white wolf walking. He could immediately tell who it was. Unknown. A large smile appeared on his lips. The male stood up glancing at Unknown walk away. "Wait for me!" He said as he immediated rushed to her. He slowed his pace as Unknow reached a little pond of water. This place was just incredibly magnificent. Colossith`s eyes scanned around, filled with happiness. "Wow." He said as he glanced at Unknown who was now in the water. Colossith was too afraid to get one paw in the water, so he sat wrapping his tail around his front paws and glanced at Unknown. Unknown thought she was alone but man was she wrong, she hadn't heard Colossith follow her. She jumped when he spoke but paused, she glanced back at him with a smile. "Sure!" She watched as he caught up then she continued, she didn't notice that Colossith hadn't joined her in the water yet until he sat down on the edge of the water while glancing at her. "You coming in?" She asked with a tilt of her head, she frowned a little. She walked towards him idly, pausing about a tail length from him. "Come in." She said with a smile, she wagged her tail a little then nodding her head towards the water as she took a few steps deeper into it. 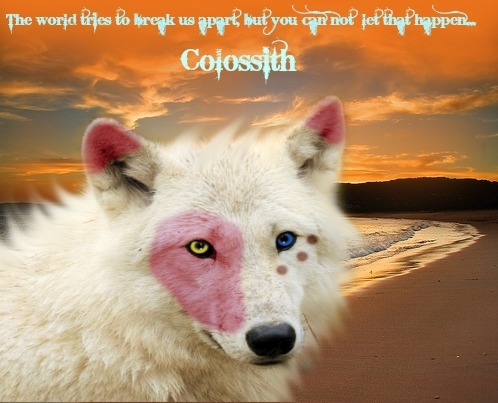 She dipped her head and drank some water, she glanced back at Colossith for a second. Colossith glanced at Unknown and shook his head. "I-I can`t..." He said, as he looked down at his paws. He felt embarrassed by himself. He couldn`t just tell her he was afraid of the water, she would laugh at him. He took one step back and looked at Unknown. "It`s too frozen..." He said as he tried making up excuses. He bit his lip hard feeling ashamed of himself. He had lied to her. That was a big mistake, but his only solution at the moment. "But you can still enjoy the water, I`ll...just sit here." Colossith said tilting his head to the side as his eyes were laid upon the fea. Unknown tilted her head a little more at him, why couldn't he? Was there stopping him? Had to be, she frowned a little. "It is not cold, it feels really good! Come on, what will it hurt?" She asked as she watched him take a step back, she frowned a little. She plopped down so she was laying in the water on her stomach, her head up enough it wasn't covered. She watched him bit his lip, he was lying to her and she could tell. She frowned a little and shifted, fine if he didn't want to tell her what was up then that was fine. "Not very much fun, but fine." She said as she watched him, her tail kind of swishing back and forth in the water behind her. 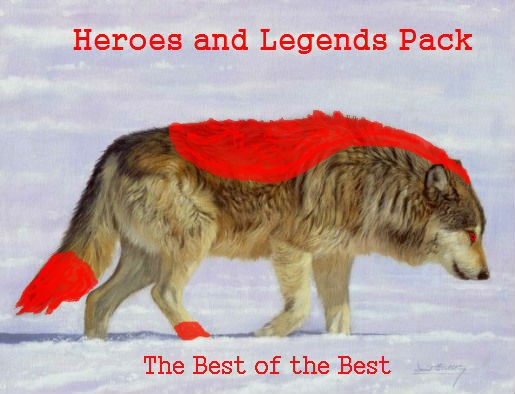 "So are you glad you joined the pack?" She asked while she tilted her head at him, her eyebrows perking up. Colossith sat, looking around curiously. He wanted desperately to enjoy his time, but it wasn`t the case at the moment. He was afraid of water, but he had to fight his fears. He had too. He refused to look weak. He was going to fight his fear. Colossith walked forward until he reached the edge of the water. He dipped one paw into the water and took it out immediately. It was a little cold, but it wasn`t that bad after all. Unknown was right. He smirked before walking around on the edge and soon put on of his paws into the water and splashed the female. Unknown watched Colossith as he looked around curiously, she continued to stay where she was as she kind of took his time. Eventually he walked towards the water, one paw dipping in but instantly took it out. She smiled a little, she avoided looking at him directly in the eye until he eventually walked into into the edge of the pond. She glanced up to look at him only to get splashed by him, that was very rude of him. She shook her head, trying to get the water off her face as she splashed him back. "Unfair, I wasn't ready!" She called as she shifted back and forth, once she had cleared her face of water she padded further into the water. Maybe he couldn't get her here, who knew. But she stood about hind legs deep in the water. Colossith laughed, but suddenly stopped as he was splashed in return by unknown. He immediately shook his fur,but accidentally slipped on the wet rock and fell into the water. The water wasn't as bad as he thought, though it was one of his first time to dip in his whole body into the water. Colossith couldn't help but try swimming towards unknown and suddenly circling her, before finally splashing her again. "Heheheh." Colossith said as he suddenly got under water, not coming back to the surface until almost a minute. He was now behind unknown and he gently nudge her before swimming around her again. "You were right...the water isn't cold." He said smiling.